Life’s been tough for the Royal Mail since its privatisation last year. Struggling from fierce and, it says, unfair competition in the parcel delivery market, it posted poor half-year results last week. To make things worse, it identified a new threat from Amazon, which has launched its own delivery service and scrapped free (i.e. Royal Mail) delivery on items under £10. Surrounded by enemies, Royal Mail appears to have done the smart thing and picked a side. Even smarter, it’s picked Amazon. Royal Mail has decided to allow the US tech leviathan to use its Local Collect network, a partnership with the Post Office that allows customers to have their parcels delivered to a post office of their choice for later pick up. On the surface, this might seem like a pretty one-sided deal. After all, for Amazon this represents an enormous opportunity to expand its ‘click and collect’ operations, one of the ways supremo Jeff Bezos seems to be trying to cut out the middle/delivery man (the other being relentless and somewhat terrifying drones). By adding 10,500 Post Office delivery points to its network, Amazon has effectively tripled its UK click and collect capacity to 16,000 locations. Overnight, this has made click and collect an important pillar of its business. So what’s in it for Royal Mail? Why allow a competitor access to an exclusive and valuable resource? The answer is that, in the long run, Amazon isn’t Royal Mail’s existential rival. The likes of UPS, Yodel and Whistl (formerly TNT – it seems it decided the name of an explosive compound wasn’t appropriate for a parcel delivery service, for some reason) are. Royal Mail claims that these direct competitors benefit unfairly from its status as the ‘universal service provider’ by getting to use its distribution network without having to take on high cost, low reward jobs. Whether or not Ofcom can be convinced remains to be seen, but either way these rivals are eating Royal Mail’s business. Parcels are the future for this industry, given the long decline of letters. They already represent 40% percent of Royal Mail’s UK business and, despite squeezed revenues, volumes are growing by around 2% a year. Amazon is also the future, with its volumes (if not its profits) continuing to climb. With this alliance, Royal Mail gets a cut of Amazon’s business, and in so doing denies that business to its principal rivals. It doesn’t hurt, of course, that it’s stealing this march immediately before Christmas, a crucial time in its year. 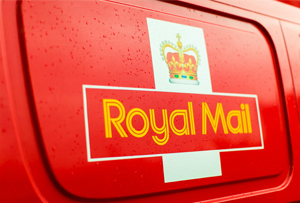 Shares in Royal Mail were up 0.97% to 427.11p in early morning trading, in a sign of moderate investor approval. Hard numbers may be needed, though, to convince them Royal Mail has found a way of fighting back against its upstart rivals. Will Mark Zuckerberg's mobile-first strategy make Facebook bigger than Google?